BackupAssist – full release notes here / latest installer here. SecurityGateway – full release notes here / latest installer here. 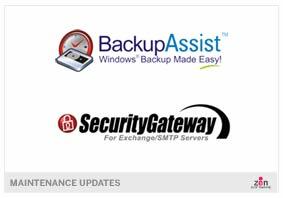 ProtectionPlus (SecurityGateway add-on) – installer here. As always, if you’ve got any questions about any of our products please feel free to get in touch.